AKTU/UPTU 2019 Admit Card has been released. Dr A.P.J. 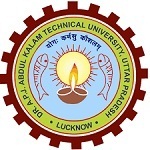 Abdul Kalam Technical University will organize the AKTU/UPTU 2019 exam. UPTU is a state level examination also referred as UPSEE (Uttar Pradesh State Entrance Test). This exam is organized to offer admission in B.Tech, B.Arch., B.Pharma., BHMCT, BFAD, BFA, MBA and MCA courses offered by various colleges in Uttar Pradesh. Students can also appear in UPTU exam for admission in second year of B.Tech, B.Pharm and MCA programmes. Through this article students can check details for AKTU/UPTU 2019 exam including application, exam dates, eligibility, pattern, etc. UPSEE 2019 Admit Card has been released on 15th April 2019. Check here for admit card details. UPTU/AKTU 2019 Exam will be conducted through offline (pen and paper based) mode. Check here for exam pattern details. The admit card has been released on 15th April 2019 till date of exam. UPTU admit card is issued through online mode. In case of any discrepancy in the admit card, candidates should contact to the official help line immediately. The final corrected admit card will have to be downloaded from the website. Type of Questions: There will be objective type questions (except for B.Arch) will be asked in the exam. Exam Mode: It will be organized through pen and paper based mode. Marking Scheme: 4 marks will be given for each correct answer. No marks will be given in case of multiple answers for the same question. AKTU/UPTU syllabus will be different for various courses. It will be of 10+2 or graduation level according to the courses opted by students. For B.Tech, the syllabus will comprise of physics, chemistry and mathematics subjects. For B.Pharma, it will include topics from physics, chemistry and biology subjects. AKTU/UPTU 2020 examination will be organized by the Dr A.P.J. Abdul Kalam Technical University. Candidates can get admission in B.Tech, B.Arch., B.Pharma., BHMCT and other courses through this examination. AKTU/UPTU exam is also referred as Uttar Pradesh State Entrance Test. Plan your exam preparation as per the syllabus and the time you have. Prepare a time table and manage your time equally for all the subjects. Prepare from the best study material and reference books available in the market or internet. Also concentrate on the previous year question papers and sample papers it will help you to know the exam pattern. During preparation, also take care of your health take a healthy diet and do meditation or yoga. Question: How can I get the AKTU/UPTU application form 2019? Answer: The application form is available through online mode. Question: Do I have to send the Confirmation Page to the University? Answer: No need to send the confirmation page to the university. Question: I have lost my “Confirmation Page”. What should I do? Answer: Go through the login window and you can take fresh printout of the confirmation by entering your login details. Question: My parents are domicile of UP but I have passed the qualifying examination from Uttarakhand state. Am I eligible to apply for UPTU exam? Answer: Yes, you are eligible to apply. Question: I want to make some corrections in the form after Final Submission. Can I correct my application form? Answer: Yes, correction has been started from 16th March 2019. Question: I have forgotten my password. What should I do? Answer: Visit the website and click on the “Forgot Password” option available at the login page. Question: I am appearing in the final year of graduation degree. 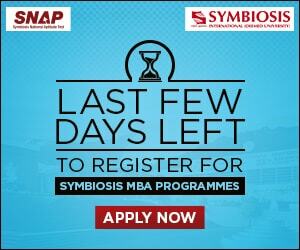 Am I eligible to apply for MBA course? The answer key will be published within a week after the examination. UPTU answer key 2019 will be released along with the result. Students will be able to check the answer key through the website. In case of any mistake in the answer key, students can submit their grievances to the officials. The result will be declared through online mode in the last week of May 2019. Students can check the UPTU result 2019 by entering their roll number or application number. On the basis of marks scored in the entrance exam, separate merit lists will be released for each course. Students will be called for counselling according to their rank. UPTU cut-off will be the minimum marks required by the candidates to participate in the counselling process. The minimum cut-off for the merit list will be 25% marks for general and 20% marks for SC/ST candidates. Successful candidates will be able to participate in the AKTU counselling 2019 through online mode. It will be organized in the month of June 2019. Counselling process has been divided into various steps like registration, document verification, choice filling, seat allotment and reporting. It will be conducted in four or five rounds as per the availability of seats. Counselling fee will be Rs. 20,000 (Rs. 12, 000/- for SC/ST candidates). Seat allotment will be made as per the merit, availability of seats, category and choices filled by candidates. After the allotment of seat, candidates have to report to the allotted college to confirm their admission. Students can fill the AKTU/UPTU application form via online mode from 23rd January 2019. Candidates are required to upload the scanned images of photograph, signature and left hand thumb impression. The university has also provided the facility to make correction in the application from 16th March to 3rd April 2019. No need to send the confirmation page to the university. The application form should be submitted till the last week of February 2019. The application fee is Rs. 1300/- for male/transgender candidates of general and OBC and Rs. 650/- for SC/ST candidates and female/PH candidates of all categories. Students can pay the application fee using debit/credit card or net banking. Nationality: Indian Citizen, NRI, Foreign Nationals, PIO, Children of Indian Workers in Gulf Countries and Kashmiri Migrants candidates are eligible to apply. Aadhar Card: Aadhaar card will be mandatory to apply. Appearing Candidates: Students appearing in the qualifying exam are also eligible to apply. Age Limit: No age limit to apply for UPSEE exam. Percentage Criteria: Except B.Arch & MCA (LE) programmes, candidates have to score minimum 45% marks (40% for SC/ST candidates) in the qualifying exam. B.Tech 12th or equivalent exam passed with physics, mathematics and any one of the chemistry, biology, bio-technology or technical vocational subject. B.Tech (LE) Diploma in Engineering & B.Sc degree holder can apply. Must have mathematics subject at 12th standard. B.Tech – Biotechnology 12th or equivalent exam passed with physics, mathematics/biology and any one of the chemistry, bio-technology or technical vocational subject. B.Tech (Agriculture Engineering) Passed 10+2 or equivalent exam with agriculture stream. B.Pharma Passed 10+2 or equivalent exam with physics, chemistry and any one of the mathematics, biology, bio-technology or technical vocational subject. B.Pharma (LE) Diploma in Pharmacy holders can apply. BHMCT/BFA/BFAD 12th or equivalent exam passed from any stream. B.Arch Three year diploma in architecture, 12th or equivalent exam passed with physics and mathematics subjects securing 50% aggregate. Must have any one of the chemistry, computer science, biology, engineering drawing or technical vocational subject. MBA Bachelors or its equivalent degree holders can apply. MCA Graduation or equivalent degree with mathematics subject at 12th or graduation level. 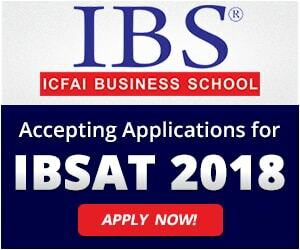 MCA (LE) BCA, B.Sc (IT/ Computer Science) degree holders are eligible to apply. Must have obtained 50% marks (45% marks for SC/ST) in the qualifying exam. For any other queries about AKTU/UPTU 2019, you can ask us by leaving your queries in the comment box. I am in OBC and male so I have to submit 1300 fee but filling my form I found it to be 650 only and I fill all detail correctly .so it will be any problem ? Sir NDA ka bhi exam 21st April ko hai aur uptu ka bhi usi din hai to sir maine dono form bhare hai… To sir dono exam ek hi din possible kaise hai dena… Iska exam date change hoga kya…?? We will update in our article if there will be any change in the exam date. I’m persuing Diploma Engineering after 10th,i have not completed my 10+2, am i eligible for lateral entry n aktu? Completed my 3 years diploma in interior design and decoration. Am i eligible for B.arch?? Please reply…..
I’m persuing Diploma Engineering. I want to take admission in B.Tech (UPTU). How ,I can take admission. You must fill the application form and qualify the test to get admission. Wait for the application process to start. I have done 3 year diloma after 10th am I egligible for btech lateral entry? i have done diploma after 10th i have not completed my 10+2, am i eligible for lateral entry n aktu? The application form releasing date is not announced yet. Sir,b.pharma m government clg k liye kitne marks chahiye? What I can applied O level student MCA 2 YEAR? I waana know about b pharma syllabus. I am pursuing diploma in Civil Engineering after High School.Am I able to apply for btech through uptu ?